Length: 158mm. Image shows painted and assembled kit. 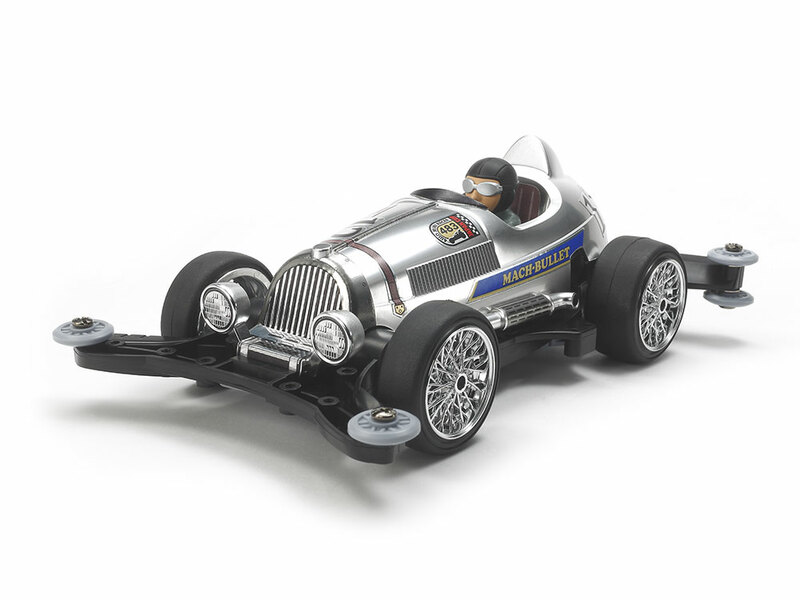 ★The Mach-Bullet Metallic Special is bound to turn heads at your local Mini 4WD circuit! ★It features a classically-styled body given a silver color plated finish, dedicated metallic stickers, and a dapper assembled and painted figure. ★The aerodynamically-advanced AR chassis is molded in tough polycarbonate-ABS, while A parts are low-friction gray plastic. ★Mesh wheels are also given a silver color plated finish. ★Includes 5:1 gears and a motor.